Tender sweet home grown peas straight from the pod are a joy for any gardener, and it is this that has made growing peas so popular among home growers. It used to be a treat that only last a few weeks in the summer but these days with some careful planning and the right choice of variety it is possible to get a good crop of fresh garden peas from late spring through to early autumn. There is a long history of peas being used as a garden crop and there are now many varieties to choose from. We have early, second early, main crop, tall, short, small sweet and succulent and peas with edible pods. 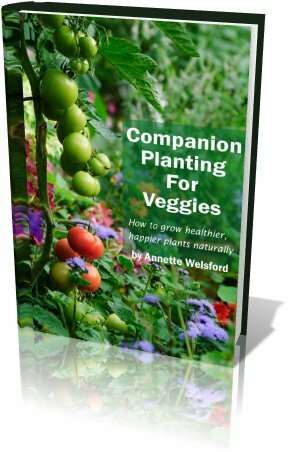 All of which can be successfully grown in your own garden. Which you choose to grow depends on a number of factors. 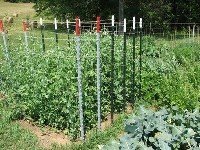 Peas can take up a lot of space, the taller the variety the more space they need, like wise the main crop peas need more space that the earlier varieties. You will also need to consider if you like very sweet peas, want to freeze to dry some of the crop and how long a period you want to be harvesting for. Another factor is to remember that peas originate from cool temperate zones and as such most varieties will stop producing pods if the temperature goes above 20 degrees centigrade. Pea seeds come in two types, round and wrinkled, in the wrinkled, or marrowfat , varieties some of the starch in the seed has turned into sugar, and these produce very sweet peas, but they cannot be used for autumn sowing has they hold too much moisture. If you want to sow in autumn then use a round seed variety of which there are several that are hardy. There are tall and dwarf varieties of both round and wrinkled seed available. And in general the early varieties tend to be of the dwarf form and the main crops are taller and bushier. As peas do need plenty of space this need to be considered when choosing the location, which should be an open sunny area that is also protected from strong winds. Another factor is that the taller peas will shade any other crop growing along side them. They will grow well in a wide range of soils, but you should avoid acidic soil as they prefer a ph of 7 if necessary correct any acidity by applying lime to the soil during the preceding winter. Peas do like a rich soil but not one that has been recently manured, it is better to apply any manure in the early winter before sowing takes place in spring. Avoid using fertilizers rich in nitrogen as the peas plant can extract all the nitrogen it needs from the air, and an excess of nitrogen will lead to lots of lush leaves but no pea pods! They also require plenty of water so will do well in a heavy soil that retains moisture well and as the roots will penetrate the soil to some depth dig the ground deeply and thoroughly before sowing. As already mentioned peas have deep penetrating roots, so they need to be sown where they are to grow, it is also important not to disturb the roots while they are growing. Prepare a drill 15cm (6”) wide and 2.5cm (1”) deep, sow the seeds in rows 7.5cm (3”) apart at a rate of 6 seeds per 30cm (1’). The pacing between these double rows should be equal to the height of the fully grown plants. The seeds will take between 10 and 20 days to germinate. It is a good idea that once you have sown the seed to provide some protection as mice love to eat the seeds and numerous species of birds love to eat the young seedlings. Peas that are sown in spring are divided into three main groups depending on the time it takes for the variety to grown, first early varieties take 11 to 12 weeks, second earlies (or early main crop) take 12 to 13 weeks and the third group main crop take 13 to 14 weeks. It is therefore possible to sow all three at the same time and have a succession of pickings. But the more usual system which also gives a longer harvesting season is to make successive sowings about two weeks apart. You can also extended season by sowing a little earlier and providing protection from the frosts with cloches. Some varieties of hardy round seeded dwarf peas can be sown in early autumn to give a crop in the following spring. Provide protection through the autumn and winter , you will also need to sow more thickly as some of the seeds will not germinate and some of the seedlings will die off. If we get a mild winter then you will get a crop several weeks before those spring sown peas, but a severe winter means that there may well be no advantage gained as the growth will be checked so much. Peas do need a fair bit of care and attention through out their lives, needing regular hoeing to keep on top of any weeds with care been given not to damage the roots of the plants. They will also need plenty of water especially during periods of little or no rain. It is also at these times that many of the diseases that affect peas are made worse. If your soil is poor then they will need an application or two of a compound fertilizer, which is low in nitrogen. A mulch of garden compost or lawn trimmings can also be applied and this will help to retain the moisture in the soil. There are very few varieties that will not need to be given some support to grow up. It is now virtually impossible to get hold of the traditional pea supports made from hazel wood thinnings, so use either conifer thinnings or purpose made wire or plastic netting. The support should be in place when the seedlings are about 10 cm (4”) tall and should be high enough to support the full height of the adult plant. Garden peas are at their best when fresh young and green. Unless you are going to dry some for winter use in the kitchen do not let them fully ripen, as they will loose much of their flavour. They are usually reading for picking about three weeks after flowering. When the pods have filled out and are firm to the touch they are ready for picking. Start to harvest from the bottom of the plant and cut rather than pull the pods off. Check your plants regularly and harvest as the pods become ready. Ideally you want to use the peas as soon as they are picked as this is when they are at there best. But if you have a large number of plants and a large crop then leave a few plants for the purpose of drying and storing for winter use, and let the pods ripen thoroughly before picking. Shell the peas and then leave to dry completely before storing in jars for winter use. Alternatively you may wish to freeze your excess crop to do this pick the pods when you would for normal use and freeze as soon as possible. 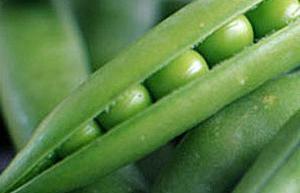 There are some varieties of garden pea in which the pods are eaten whole with the peas still in them, of which the best know is mangetout. They all need support and are heavy croppers. The seed should be sown in late spring in a sunny location and then follow the same instructions as the other varieties and they will also need to be protected from the birds which find them irresistible. They should be harvest when young and tender before the peas have started to develop in the pod, pick and take them to the kitchen for immediate use, either steamed or stir fired. Older pods will make a very tasty soup. These are one of the finest vegetable in terms of sweet flavour. They produce and abundance of small delicately flavoured peas. They are sown in mid spring and require the same care and attention as the other types, but require a great deal of water and should never be let to dry out. Harvest in mid summer as soon as they as started to fill out.